Call us at (916) 452-5000 or fax at (916) 452-5005. Please login to theowner portal. If you cannot find what you’re looking for in the portal, call us at (916) 452-5000 or fax at (916) 452-5005. Please login to thetenant portal. If you cannot find what you’re looking for in the portal, call us at (916) 452-5000 or fax at (916) 452-5005. How can you stay cool in your Sacramento rental? Most rental properties are equipped with one of more systems to make our life more comfortable: insulation, dual paned windows and mechanical systems, (AIR CONDITIONING, emphasis added). Of course, all these systems are included with new construction, but what if you live in a home that lacks one or more of these systems, or one of these systems, (AIR CONDITIONING, emphasis added), breaks down? 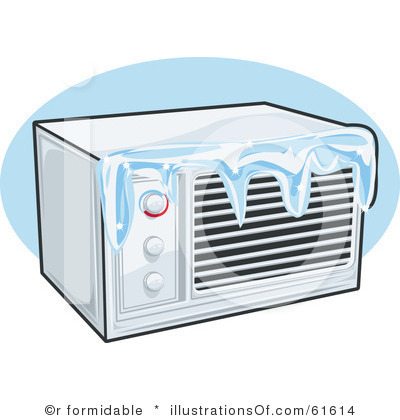 This is an unpopular theme, so we might as well get it over with: Air Conditioning is NOT a habitability issue. Air Conditioning is considered an amenity; it does not fall into the same category as heat, electricity, hot and cold water, etc. This is not to say that a landlord doesn’t HAVE to repair an air conditioning system that fails if it the property was rented with the understanding that Air Conditioning was available and functional; they absolutely do. They are not, however, compelled to find alternate living arrangements for their residents when a system breaks down as long as they are making a good faith effort to effect repairs. This, of course, brings us to another uncomfortable fact: Air conditioners can break down at almost any time of the year, but logic and experience tells us that almost every A/C in the region has been switched on when the temperature is 100+. Whether the failure happened at that moment or three months earlier when the temperature was a breezy 72 degrees, (the real reason people live here), we all find out about broken A/C’s on the same day every year: The first “hot” day. What this means for landlords and residents is that they might have to wait a couple days to get their system repaired, (or worse, replaced). It is simply not possible to have enough technicians in our market so all A/C issues can be handled on the same day; they would starve during the rest of the year when our weather is mild. So we sincerely ask for your patience as we dispatch one of several of our terrific air conditioning vendors out to your property, they’re going as fast as they can. We should also take a moment to discuss the property owner’s position. Most of them would like to provide a new A/C system. It would keep their resident’s happier and more stable as well as being more efficient. The problem is that replacing an air conditioner is VERY expensive, and it usually has to be paid upon the completion of the work. We’ve heard, “This system is old and it needs to be replaced”, from our residents a lot. The problem is that, “Owning” a property usually means “paying a mortgage”. That means that they are paying for the property that is worth several hundred thousand dollars over a period of 15 to 30 years. The mortgage payment on a four bedroom home in Citrus Heights or Roseville might be $1300 to $1800/month, which they have budgeted for. Replacing an air conditioner can easily cost $5000 to $10,000 depending on the system and the home. Even though the home is worth several hundred thousand dollars, that doesn’t mean the property owner has ten grand laying around; that’s not how business works. Certainly, the property owner would have a better, more durable, product to offer with a new A/C system, but they may not have the cash or the space on the credit card to do it. Hence, a property owner will almost always investigate the cost to repair an old system rather than replacing it. That doesn’t mean it can be repaired, but we should expect them to take the time to evaluate the current system first. So, as a resident, how can you stack the deck in your favor? Make sure the A/C filter is clean – It saves you money because the A/C doesn’t have to work as hard to pump air throughout the house, and it makes the system last longer, (it’s also, almost always, the resident’s responsibility in their lease agreement). Keep the thermostat set at 70 degrees or above – All systems and days are different, but the lower the setting on the thermostat, the more likely it is that the system will freeze. It can damage the system, but at the very least, you’ll be without A/C on a hot day and the resident might be on the hook for an unnecessary technician callout, (this is also in the lease agreement). Frankly, during our long hot summers, you’re paying an awful lot for electricity if you keep the T-Stat below 78 degrees, anyway. At our home we pour some iced tea, (or “another beverage”), put on a cotton t-shirt and set the T-Stat to 78 degrees, your monthly savings might pay for your kid’s class at the local community college. Check the battery in your thermostat – Digital programmable thermostats are terrific, you can program the system to come on at different times on different days which can ease the usage and save you money. Unfortunately, that little electronic brain with the digital display will wear out the battery though, and the system will stop working. This is normally the resident’s responsibility, and we always try to remind tenants to check the battery in the thermostat in our initial phone call because it will get the system back up and running immediately, (and they normally retain their program settings as well), but it also saves the resident the cost of rolling a technician out, (probably around $100), that could have been fixed by going to the junk drawer or an unused remote and swiping a AAA or 9V battery. Of course, it the system is really broken, the resident would not be on the hook for the repair, but a dead battery in the thermostat is not “broken”. Know physics…(let’s let that hang in the air for a moment, shall we?…) – You’re A/C may be working and it may still be warmer than you like, (for the record, I would like to scrape frost off the inside of the windows, Sacramento is always too hot for me). o Do you have A/C in an older home that still has single pane windows and/or no insulation? The temperature drop between outside and inside won’t be as significant as it is in a more modern house that was built with those systems in place. o Do you live in a two story home? It’s going to be a lot hotter upstairs, (where the bedrooms are, inevitably), even if the A/C is working. Bottom line is that Sacramento is hot in the summer, (and it the late spring and early fall). People lived in our region long before the advent of air conditioning but that doesn’t mean we want you to or that you have to, we only want to remind you that we have to work within the boundaries of the resources that are available. Have a great day, and stay safe, if not cool. Please login to the owner portal. If you cannot find what you’re looking for in the portal, call us at (916) 452-5000 or fax at (916) 452-5005. Please login to the tenant portal. If you cannot find what you’re looking for in the portal, call us at (916) 452-5000 or fax at (916) 452-5005.